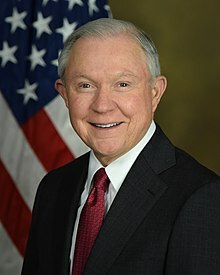 On May 8, 2018, United States Attorney General Jeff Sessions announced that a “zero-tolerance” policy toward people illegally entering the United States might separate families while parents are prosecuted. Children who are separated from their parents would be put under supervision of the U.S. Health and Human Services Department, Sessions said. Those who believe the United States should not have—or enforce—its immigration laws. The Trump administration is proving them wrong. This is typical behavior for law enforcement agencies: When criminals devise new ways to defeat existing police measures, the police devise new ways to counter those methods. Meanwhile, those who believe the United States should throw open its doors to everyone who wants to enter are missing—or ignoring—a vital historical lesson. Ironically, Mexico knows even better than the United States the perils of unchecked illegal immigration. 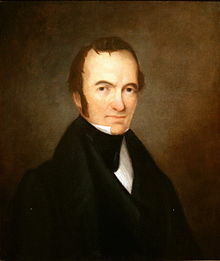 In 1821, Moses Austin sought a grant from Mexico to settle Texas. After he died in 1821, his son, Stephen, won recognition of the grant by Mexico. The Mexican government had been unable to persuade large numbers of its own citizens to move to Texas, owing largely to raiding by such fierce Indian tribes as the Comanches. The government saw the Anglo settlement of Texas as its best hope to tame an otherwise untamable frontier. 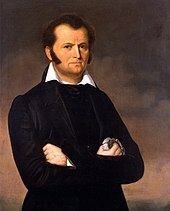 Austin convinced numerous American settlers to move to Texas, and by 1825 he had brought the first 300 American families into the territory. Throughout the 1820s, Austin helped ensure the introduction of slavery into Texas, even though, under Mexican law, this was illegal. Tensions developed between unchecked numbers of Anglo settlers flooding into Texas and the Mexican authorities in charge there. Eventually, the irresistible force of unlimited Anglo illegal immigration rebelled against the immovable object of Mexican legal/military authority. The battle of the Alamo: From February 23 to March 6, 1836, about 200 rebellious Texans withstood a 13-day siege in a former San Antonio mission, only to be slaughtered to the last man by an army of 2,000 Mexican soldiers commanded by President (actually, dictator) Antonio Lopez de Santa Anna. Among the victims: James Bowie and former Congressman David Crockett. The massacre at Goliad: On March 27, 1836, 425-445 Texans captured after the battle of Coleto were shot en masse by Mexican soldiers. The battle of San Jacinto: On April 21, 1836, Texans led by General Sam Houston won a surprise Texas victory over Mexican forces who were caught in a mid-afternoon siesta. Santa Anna—who had fled—was captured the next day. Mexico was forced to give up all rights to Texas—which, 10 years after winning its independence, became a state. But ongoing conflicts between Mexico and the United States over Texas led to the Mexican war in 1846. This, in turn, led to a series of devastating American victories over the Mexican army, and the capture of Mexico City itself. Mexico suffered the humiliation of both military defeat and the loss of its land holdings within the American Southwest—which, up to 1848, it had controlled. This territory later became the states of California, New Mexico, Utah, Nevada, Arizona, Texas, and western Colorado. So Mexico knows what it’s doing when it unloads millions of its own citizens—and those of other Latin and Central American countries—on the United States. Mexico, in short, is a textbook case of what happens to a country that is unable to enforce its own immigration laws.